An AP report, carried by The San Francisco Chronicle and detailing two crashes that occurred on a New Hampshire highway on Tuesday caught the attention of the distracted driving accident team at our San Francisco injury law firm. Shortly after 5 A.M., a tractor trailer travelling on Interstate 89 in Grantham, New Hampshire jack-knifed and proceeded to slide down an embankment. As heavy duty tow trucks worked to remove the vehicle from the side of the road, a passing vehicle swerved to avoid colliding with slowed traffic, became airborne, and hurtled down the embankment towards the first accident scene. The driver was injured and hospitalized, along with a trooper who was hit after he pushed the tow truck driver out of harm’s way. Reports suggest the vehicle’s driver had been looking at the initial accident scene rather than focusing on the traffic in front of her. The New Hampshire crash served as a reminder that distracted driving can take many forms, including those involving new technologies and those involving more “old-fashioned” distractions. In a piece published by AAA this summer, Professor David Strayer recalls a time when he was just about to chastise his children for making faces at passing drivers. The professor of cognition and neural science planned to remind his children that they should never distracted a driver when he realized the driver hadn’t seen his children; the driver was already distracted by a cellphone conversation. Strayer, who has studied distracted driving for over a decade, recently partnered with AAA’s Foundation for Traffic Safety to assess the degree to which performing certain tasks affects driving ability. Borrowing a technique from aviation psychology, the research study uses a five point scale with the base-level mental effort involved in driving alone rating a Category 1. 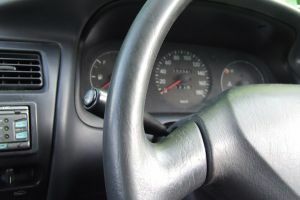 Researchers came to several conclusions about the attention demands and level of distraction created when drivers engage in additional tasks on top of driving alone. The radio added some effort, with audio books creating a bit higher demand given that listeners tend to pay more attention to them than a typical radio station. Phone conversations had the same impact whether on hands-free or handheld devices, despite popular assumptions that hands-free is safer. “Speech-to-Text” systems ranked a Category 3 and involved much more cognitive demand than either listening to the radio or speaking on the phone, likely due to a lack of feedback from a real person (he referenced stumbling over one’s words on voicemail). The highest level of cognitive demand came from a series of math and memory tasks called “Operation Span Exercises.” While this last category involved tasks created by the research team, Strayer referenced a recent test drive where the “infotainment” system included the ability to make movie reservations. He hypothesized that the related tasks (reviewing listings, reserving seats, giving credit card information) might push into the Category 4 range. Whether inattention results from technology or more “old-fashioned” distractions such as looking at an accident scene, distracted driving is dangerous. As a San Francisco car accident attorney, Greg Brod helps Northern Californians injured by distracted drivers recover vital monetary compensation. Call to arrange a free consultation and begin the process of holding the at-fault driver responsible for failing to give the task of driving the full attention it deserves.